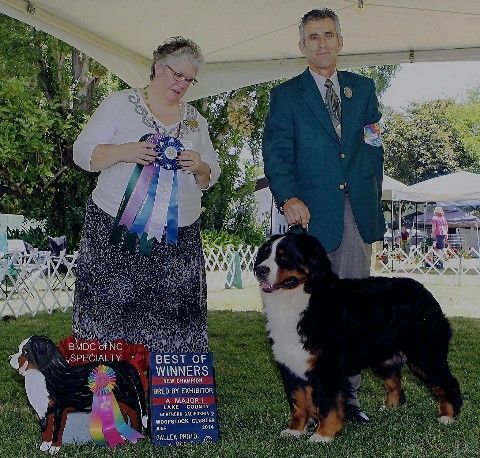 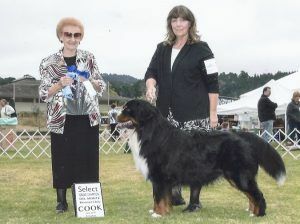 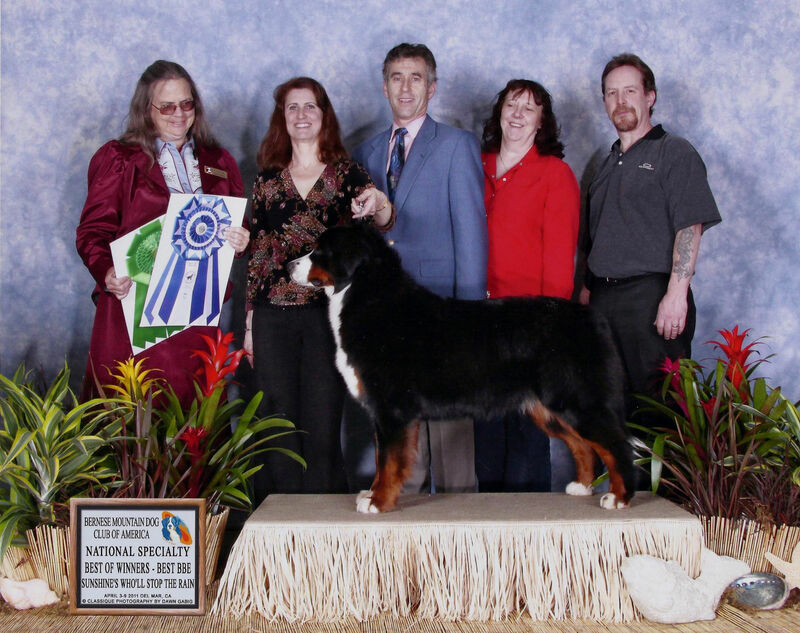 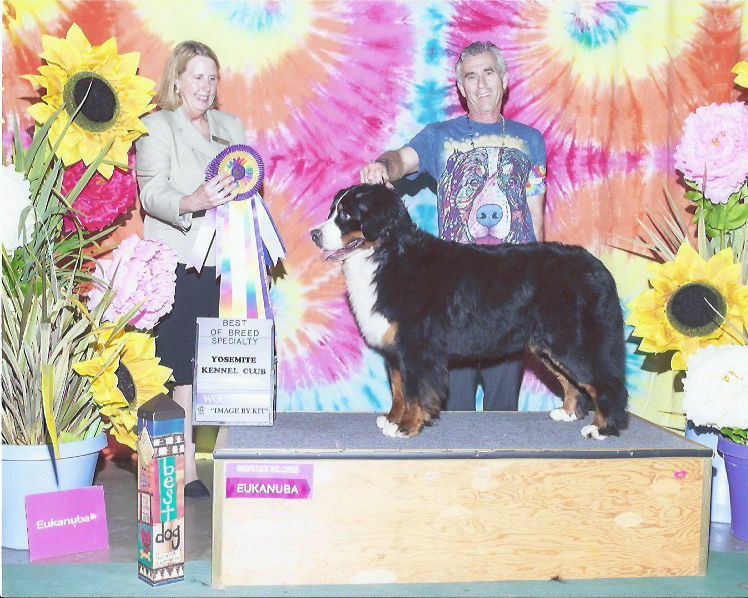 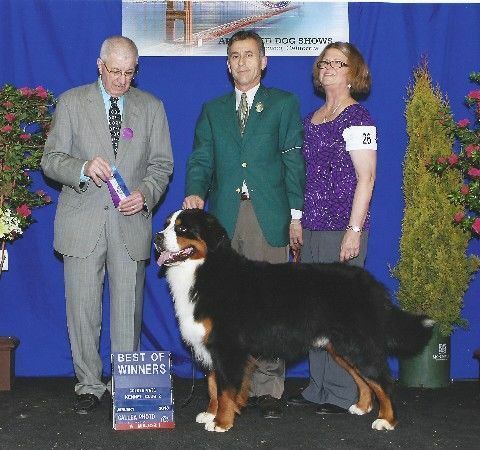 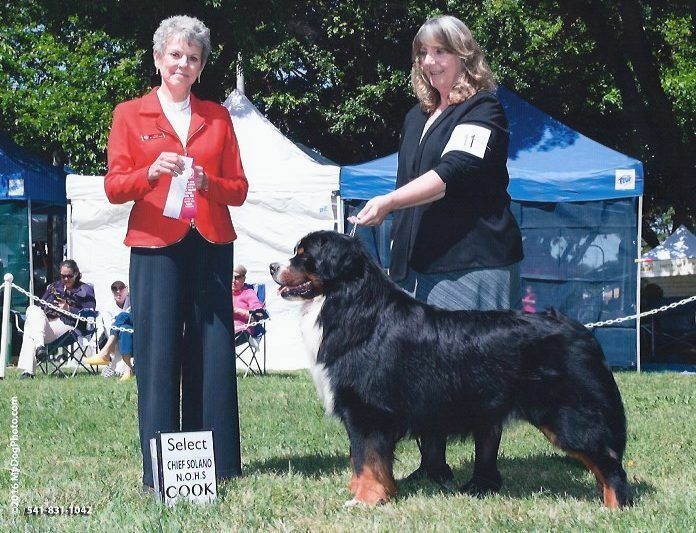 RIDER WON WINNERS DOG WITH DAN AND BEST OF WINNERS WITH HIS OWNER GAIL AT THE COW PALACE SHOW ON JAN 27, 2013. 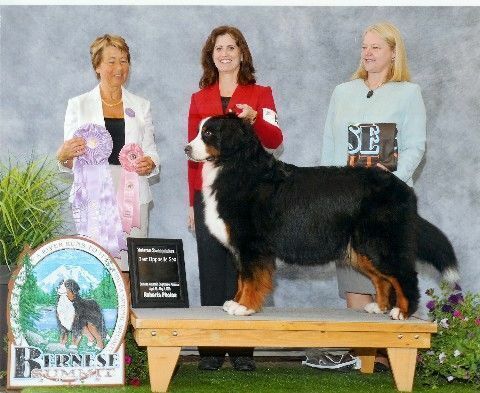 THIS IS RIDERS FIRST MAJOR WIN. 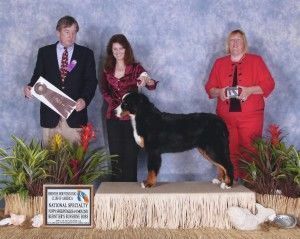 HE IS TWO YEARS OLD AND OFF TO A GREAT SHOW START. 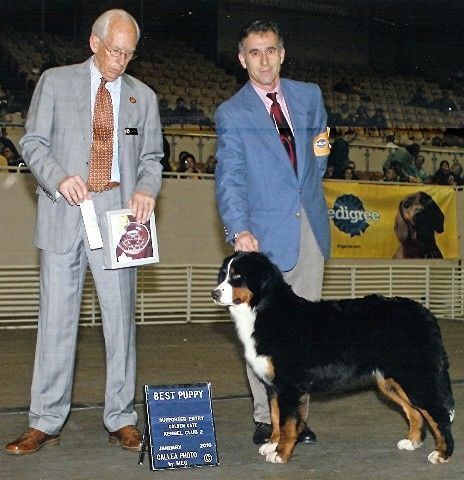 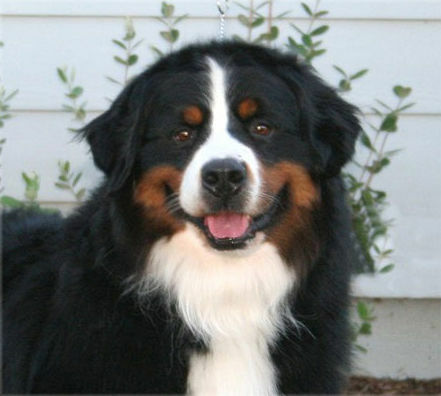 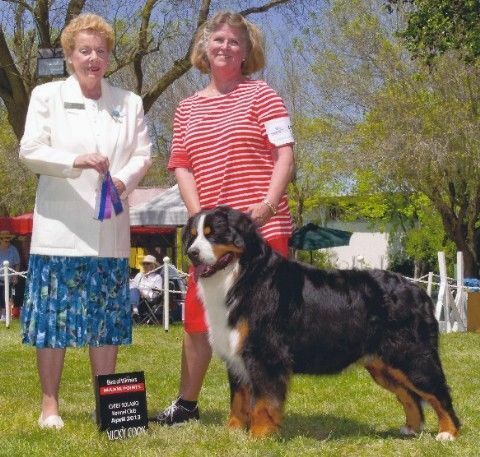 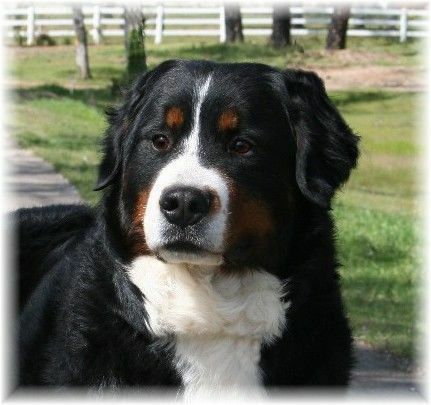 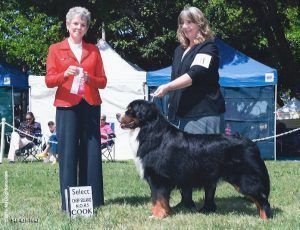 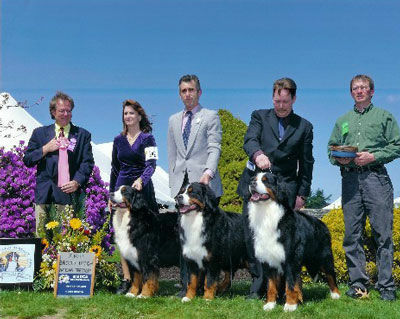 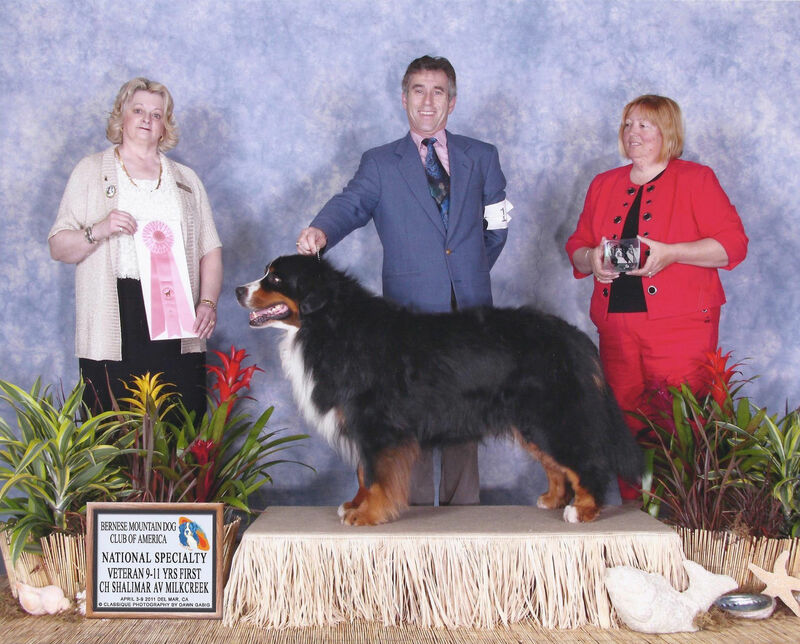 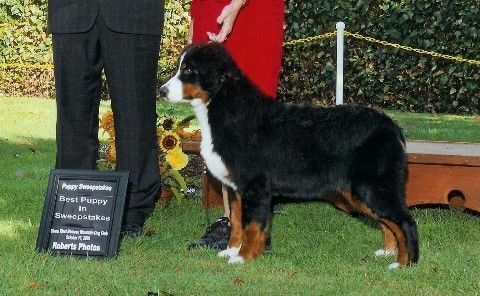 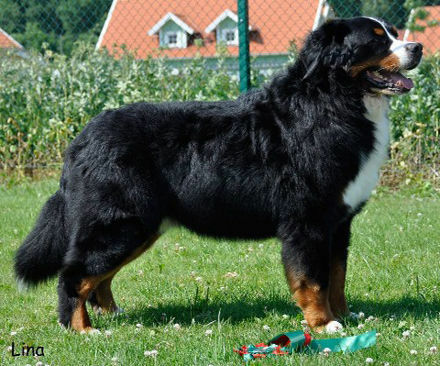 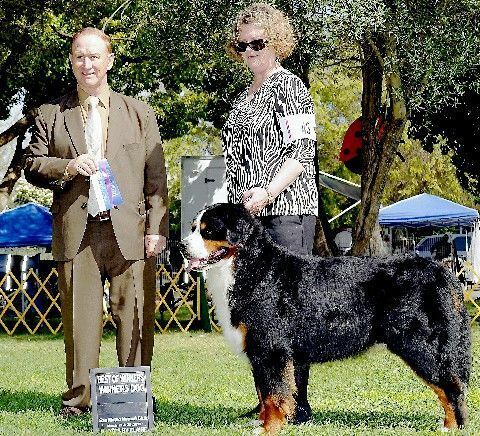 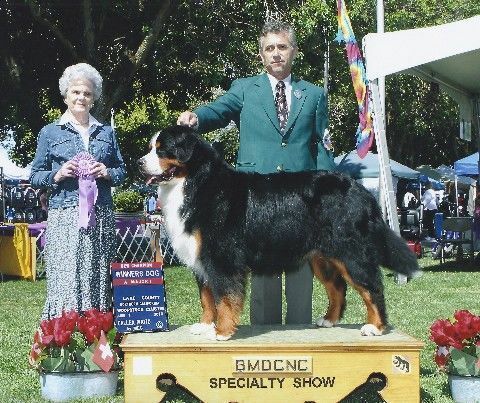 CHANEL IS A TRIBUTE TO MANY YEARS OF DEDICATION TO ONLY BREEDING SOUND QUALITY BERNESE. 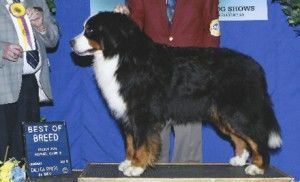 ALONG WITH BREEDING CHANE. 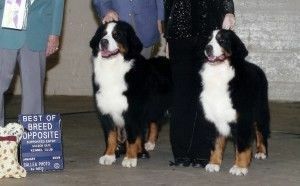 AND GEOFF HUBERT AND MADELINE KNOWLES AT SWISSKISS KENNELS WHO BRED BOTH OF HER GRANDPARENTS, BAKER AND JOEY. FROM THE VETERAINS SWEEPSTAKES CLASS. 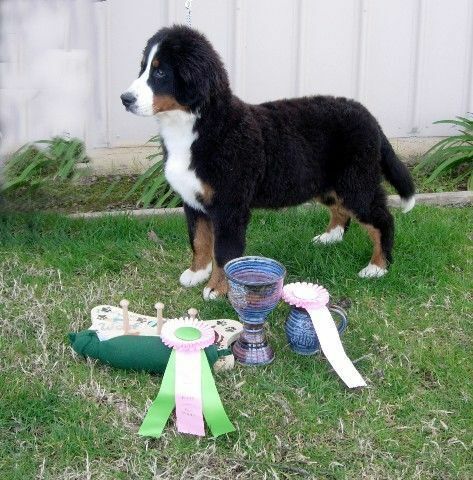 Inga went to her first show and won best puppy in show! 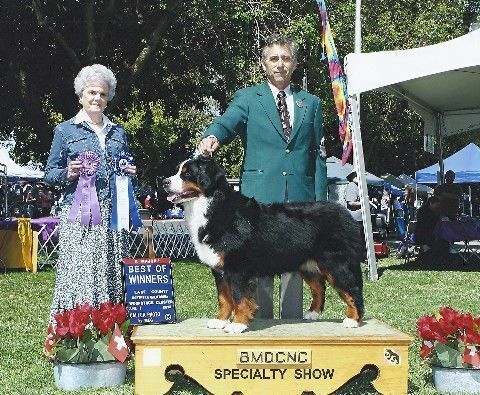 Reba became A Champion on July 6th, 2008. Austin (Ch. 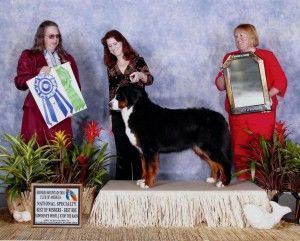 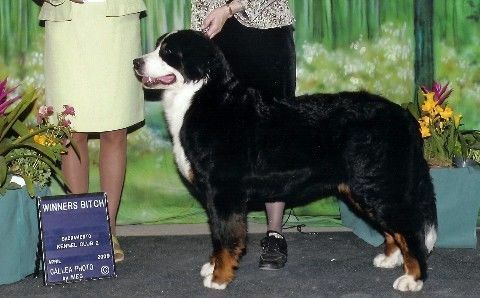 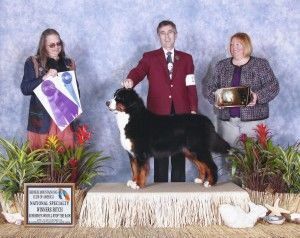 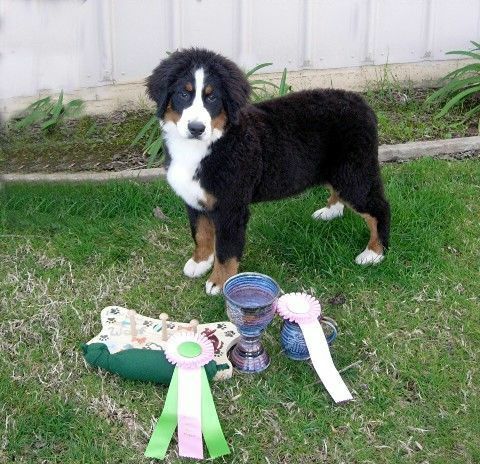 Shalimar Av Milkcreek) became a top producer of champions and working title dogs, 2008. CHANEL WON BEST PUPPY IN SWEEPS AT THE REGIONAL SPECIALITY IN OCTOBER 2009. HUNTER WENT TO SWEDEN IN APRIL 2010 AND WAS SHOWN AND BRED TO GIRLS IN SWEDEN. 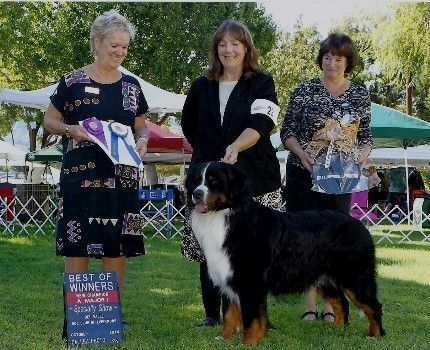 HE EARNED HIS SWEDISH CHAMPIONSHIP IN 3 SHOWS WITH 3 EXCELLENT CARDS.